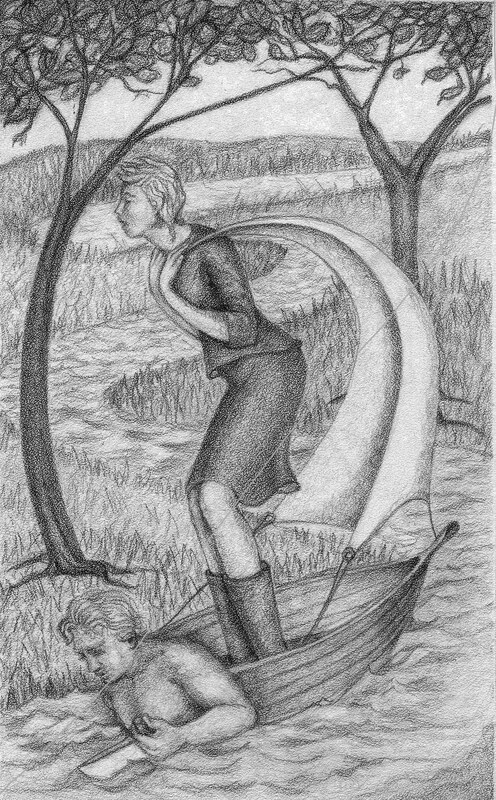 I've posted this drawing before, but this week, Karyl, the man/boat in this piece, died suddenly. I made the drawing because of a story my friend Lois tells about before she met Karyl, she was all sail and no boat, and together they worked just fine. Now, she has lost her boat. Now, she will have to do without the safe "boundaries" of Karyl's boat. Good travels, Karyl. I congratulate you! very good drawing! Thanks you both for your kind comments. And Dan, your words to Karyl were very eloquent! Really beautiful and a lovely tribute as well!